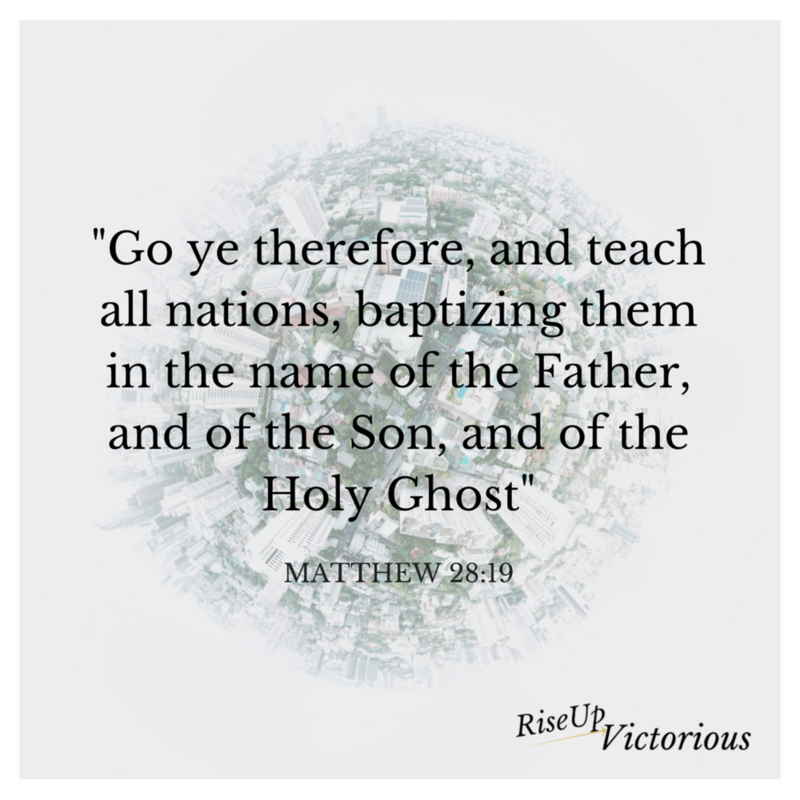 It's called The Great Commission. What does it mean? I am an Ambassador. an accredited diplomat sent by a country as its official representative to a foreign country. If the king or queen of a great country called you to be an ambassador and represent his or her kingdom would it not be an honor? We have a much greater honor than that. The Heavenly King, THE King of all Kings, has called us to this world to represent a Kingdom far beyond this world. How Can I represent my Heavenly King with love today? You are The King Of Kings. It makes my heart sad to see you so misrepresented in this world. I pray today that You will empower me with Your Holy Spirit to share Your love. To be transformed into Your image. That I will be Your hands, feet, and most importantly Your heart to this lost and dying world. Teach me to be Your ambassador and live out the Great Commission of Your Son Jesus. Let's pass on the love of The Good Good Father today!